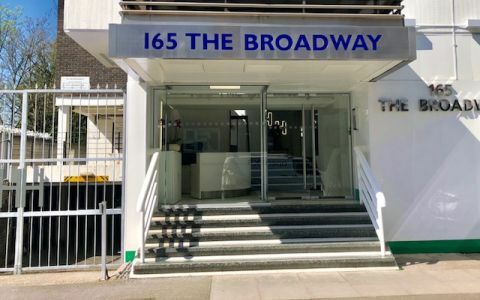 Ideally located in Wimbledon along the High Street, and only a 10 minute walk away from both South Wimbledon and Wimbledon Stations, which both provide a fast and efficient service into Central London. Highlands House offer a variety of office suites, which all benefit from a manned reception area. Offices start from 121 sqft, and the business centre offer cost effective offices, with a friendly team always willing to help. The Wimbledon serviced office is within easy reach of Wimbledon mainline station and has the additional benefit of on-site car parking. Easy Offices Where is the nearest public gym to The Broadway? Easy Offices Where is the nearest coffee shop to The Broadway? Easy Offices Where is the nearest place to get lunch near The Broadway? Easy Offices Where is the nearest car park to The Broadway?